Having Thomas Vermaelen on the pitch is synonymous with victory! Injuries have prevented the Belgian form having an extended run in the side since he arrived in 2014, but he has started seven of the last eight fixtures, and looked solid in all of them. He was in the starting line-up for the games against Valencia, both legs of the Copa del Rey games against Real Murcia, the Champions League game against Sporting plus the league games aganst Villarreal, Deportivo and Real Madrid all of which, with the exception of the 1-1 draw against Mestalla, have ended with Barça wins. In fact, in his 16 league appearances in a blaugrana shirt, his team have never lost, recording a record of 13 wins and three draws. Furthermore, when Vermaelen has played all 90 minutes, Barça have only conceded one single goal. He’s been on for 558 minutes in total in, three different competitions, and has become an essential part of Ernesto Valverde’s plans. The coach sang the centre back's praises after the recent 3-0 Clásico victory in the Bernabéu: "he trains really well, he challenges for the ball, he is a tough centre back, quick and strong and everyone believes in him. He has shown what a great player he is." 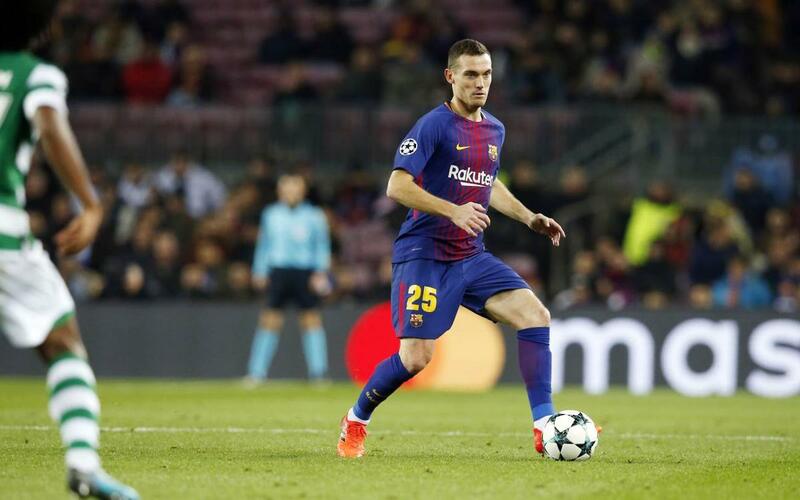 In the following video we take a look who Thomas Vermaelen considers to be the Top 4 players of all time in his position. Who will he choose? Find out right here!